The Philippine National Police (PNP) vowed to arrest a General suspected of providing protection to the Parojinog drug ring in Ozamiz City. 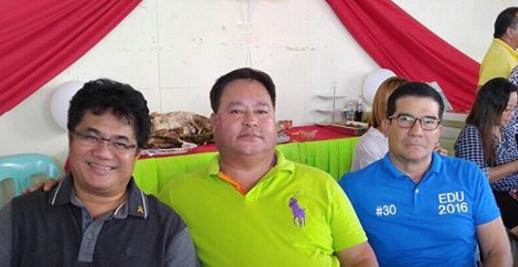 The general is rumored to be the lover of Ozamiz vice mayor Nova Echavez who was arrested in a raid conducted by the Criminal Investigation and Detection Group (CIDG). A source says President Duterte knows who the general is. The name appeared last year when authorities were completing the list of narcopoliticians. Nova Parojinog, sources shared, reportedly financed the construction of a mansion for the general. The mansion sits on top of a mountain and is rumored to contain several sophisticated monitoring equipment, an arms cache, a big stainless steel vault which contains billions of pesos and even a helipad. High ranking police and AFP officials usually visit the place to share with the “wealth of the general”. Mayor Parojinog’s name was mentioned when the controversial drug lord Herbert Colanggo testified that his shabu supply came from the Parojinogs. Colanggo shared that the Parojinogs earn more than 100 million per month due to shabu sales. The detained drug lord even narrated how the Parojinogs wanted Duterte and PNP chief Bato dead because of the relentless anti-drugs campaigns which affected the mayor’s illicit drug sales. In July 30, 2017, Phillippine police have killed a city mayor, his wife and 10 others during a series of pre-dawn anti-drug raids in the south, officials said. Parojinog was among the more than 160 officials Duterte publicly linked to drugs in August last year as part of a shame campaign. Parojinog's wife, a provincial board member who was also a relative, and four security guards of the family were among those also killed. In November 2016, police officers killed Rolando Espinosa, the mayor of Albuera town, shooting him inside a jail cell in the central province of Leyte. Bago kayo gumawa ng masama isipin nyo na may Dios na nakakakita at ito ang sinabi N'ya JOB 20:5 Na ang pagtatagumpay ng masama ay maikli, At ang kagalakan ng di banal ay sandali lamang. di ba nangyayari na?